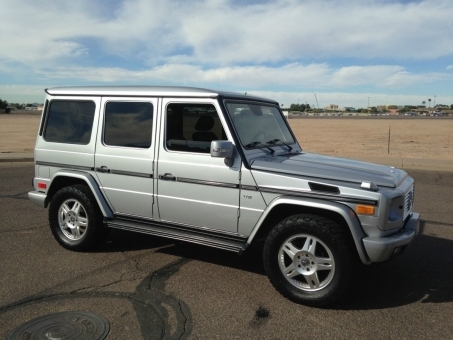 2005 Mercedes-Benz G-Class G500 absolutely stunning condition in every possible respect. 1 owner. Although it has 88,500 miles, the truck looks and drives like it has only 20k. GARAGED AT ALL TIMES! The truck has all of the standard options offered in 2005. Tinted Windows.Tires are brand new larger then stock tires. carfax is clear, serviced regularly and has been garaged and maintained in great shape.